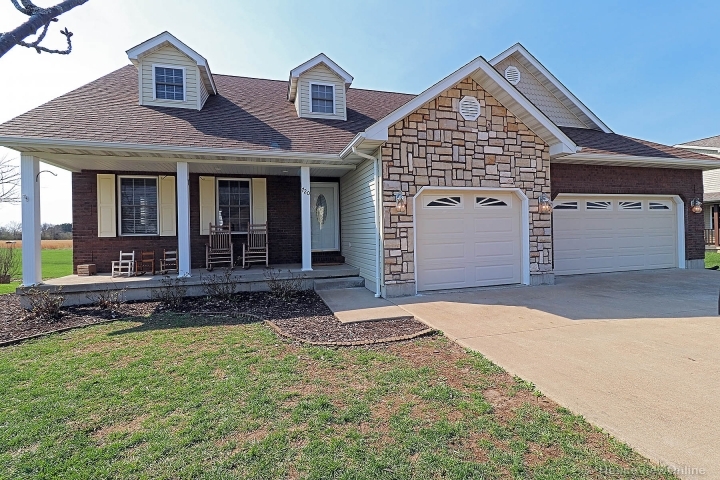 GORGEOUS 4 Bed 4 Bath home approx 3200 +/- sq ft of living space, so you will never run out of room plus 3 Car-Attached Garage. Enjoy the open living room with lots of windows that offer natural light, Spacious Kitchen, Dining Room that walks out to deck, Main Floor Laundry and Master Bedroom Suite that has large walk in closet and Master Bath with double sink, jetted tub and separate shower. Master Suite is tucked away for lots of privacy. Upstairs offers a large landing/foyer perfect for a playroom or office, 2 large bedrooms with lots of closet space and full bathroom. Downstairs, you will enjoy all the wonderful upgrades, Family Room has a BEAUTIFUL Amish Built-In Entertainment Center, Large open office area with new vinyl wood plank flooring and built in desk. Finished w/o Basement also offers a full bathroom with granite countertops & 4th Bedroom with plenty of extra space for the family. Home also has Spray foam insulation, newer roof and in-ground anchor system for basketball goal.